Ooh! I don’t know about you but I am so excited for Thanksgiving! I’m hosting the meal at my house again this year. My favorite part (besides the family gathering and the eating) is the table decorating. 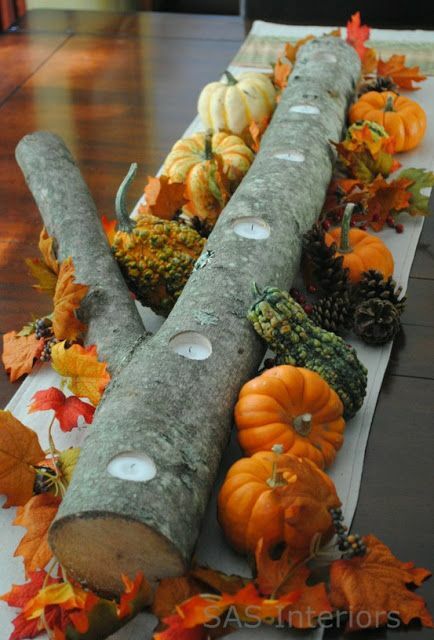 I’ve been conjuring up ideas for my Thanksgiving table decor for weeks now, people. Today, I thought I’d share a few of my favorites with you. 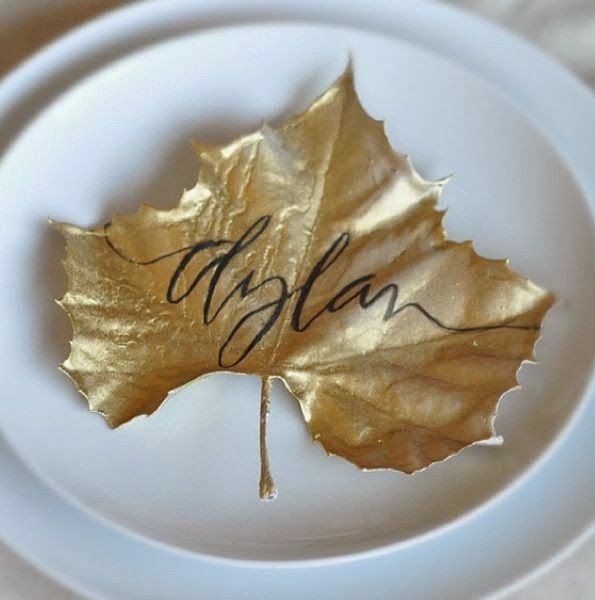 What a simple, yet elegant way to personalize each place setting for your Thanksgiving guests, don’t you agree? Got some gold spray paint, leaves and a permanent marker? Voila! Our 9-year old will absolutely love this! 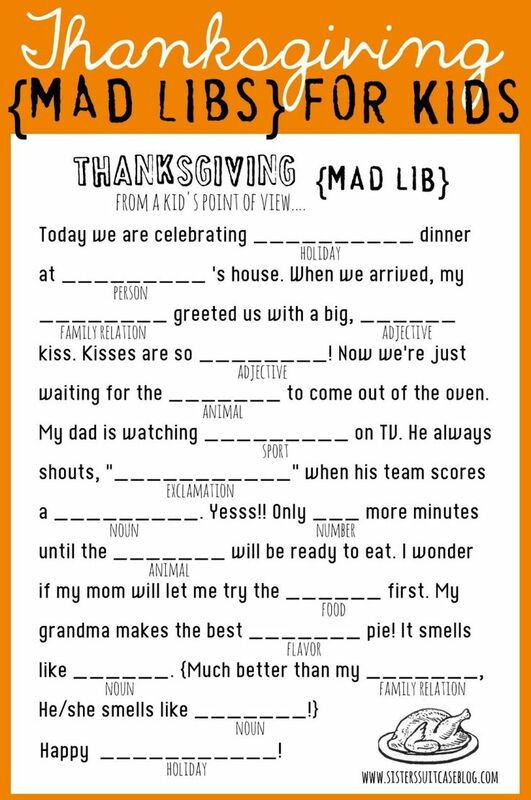 You can grab some other cute Thanksgiving Mad Libs here. This is such a simple and classic look. Love it! This DIY project is just absolutely brilliant! 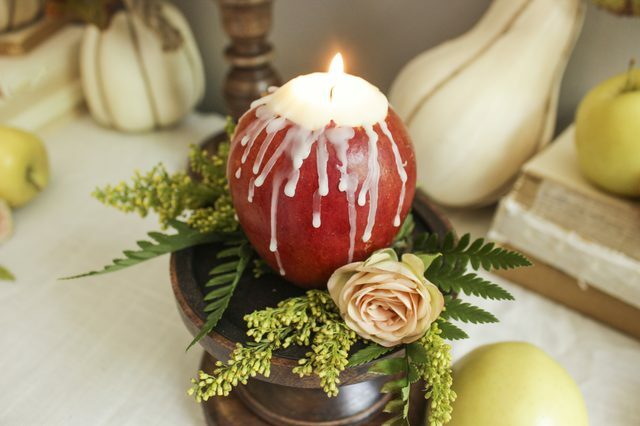 What special ideas do you have planned for your Thanksgiving table this year? This entry was posted in Crafts, Decorating, Sponsored and tagged Decorating for Thanksgiving, Thanksgiving tablescape by Susan. Bookmark the permalink. Very nice ideas. 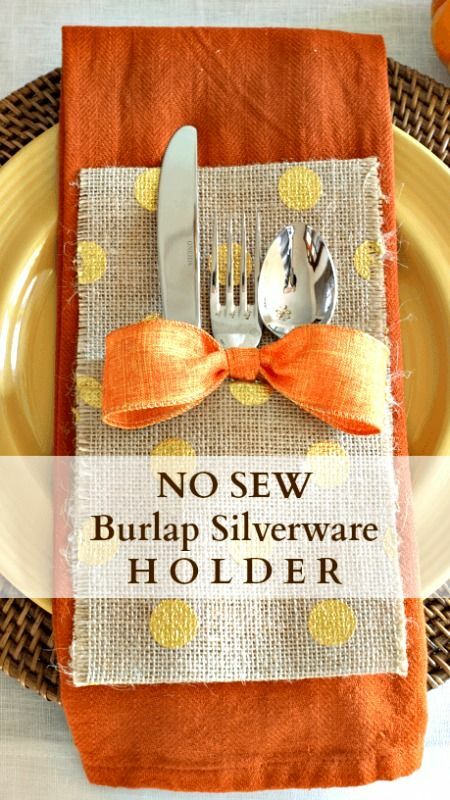 However, I learned not to clutter up the Thanksgiving table because of space needed to put the dishes on the table for the meal. My guys don’t care about decorations and end up moving them off the table for they have more room to put the dishes to pass. I usually decorate the windowsills and coffee tables and such places instead, and maybe have a mini pumpkin / candle on the table for decor. Very nice and inviting. Happy Thanksgiving! I’ve done it both ways depending on the size of table. However, with a narrower one, I keep a few things that need replenishing throughout the meal on the table (ie. bread, relishes etc. ), and put the others on a sideboard for serving. I really like it since I’ve moved to that method. 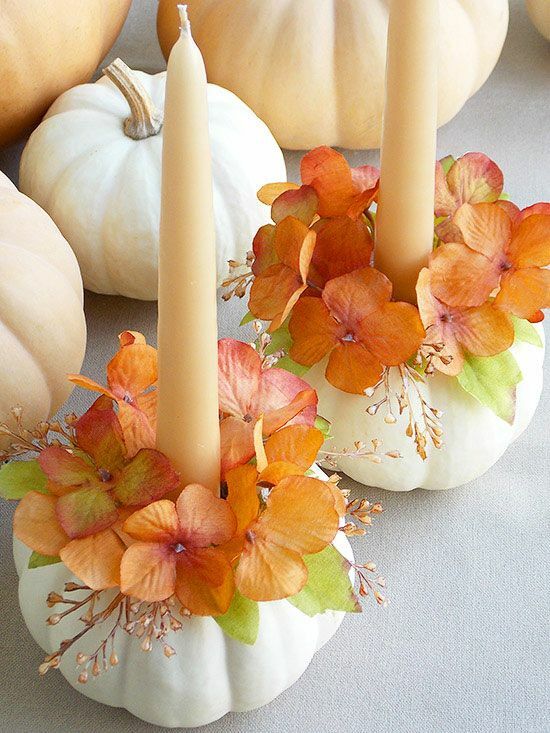 These are some really cute ideas, but some would never fly in my house due to the fire hazard so many present…. perhaps with led candles?